After years of declining sales, unloading $1 billion (£753 million) worth of patents and personnel to Google, and just recently slashing 25 per cent of its global workforce, when it comes to HTC, I have one big question: So what’s left? Sure, HTC may have been able to insulate its promising Vive VR business by spinning that department off into a separate company. 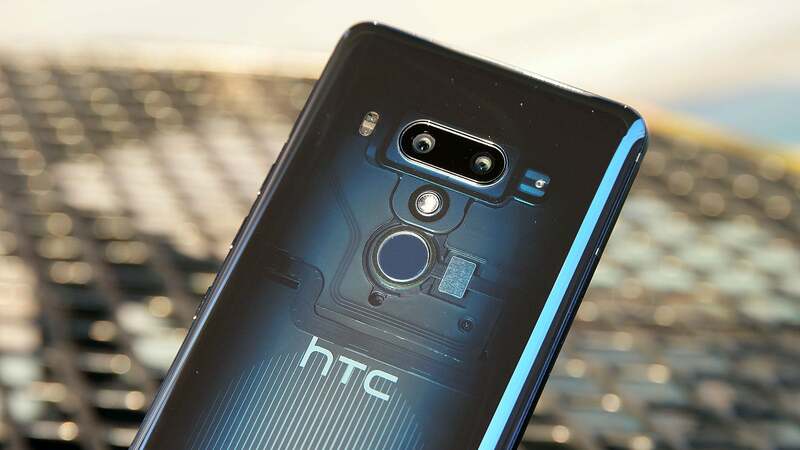 But as for HTC itself, if all the company has left in the tank is its upcoming crypto phone and this, the new U12+, things aren’t looking good. Initially, when I heard about the U12+, I was optimistic. HTC’s previous flagship phone was one of the biggest sleepers of 2017 thanks to its unique design, the huge 3930 mAh battery in the larger U11+, and a camera that was just as good, if not sometimes better than those found on Samsung’s and Apple’s handsets. And for 2018, it seemed like HTC was going to lean into its innovative side-mounted pressure sensors so you could control even more features with a simple squeeze of your hand. And it some respects, that focus totally paid off, because now in addition to simply squeezing the phone to summon the Google Assistant or whatever else you want, you can also double tap the sides of the phone to go back, squeeze and hold to call up any app of your choosing, or simply grip the phone to prevent it from dimming or rotating the screen without your approval. On top of that, you can even customise what squeezing the phone does contextually within individual apps, so when using the camera app for example, you can squeeze the phone to snap a picture, or squeeze and hold to switch between the phone’s front and rear facing cameras. And because almost all of these functions can be tweaked and adjusted to your liking, the U12+ feels like it has an endless possibilities for customisation. It’s a phone tweaker’s dream. Unfortunately, what HTC forgot to do was increase the sensitivity of the U12+’s pressure sensors, because even when set to their lowest level, actually getting the phone to recognise a squeeze is uncomfortable, and if you squeeze the phone a lot, it might even be a little painful. The phone’s metal sides don’t have any give, so in order for the handset to recognise your squeeze, you essentially have to bruise your fingers. But perhaps the U12+’s biggest offence is what HTC did to the phone’s lock and volume “buttons.” That’s because they aren’t actually buttons at all, they’re little bits of raised metal with even more built-in touch sensors. And unlike the Touch ID home “buttons” found on older iPhones, HTC hasn’t really attempted to use high-quality haptics to fool your fingers into thinking they are real. Sure, the “buttons” vibrate when you press them, but they still feel dead, and like the rest of the phone’s squeeze controls, you have to press them harder than you think you should when you want them to work. I really don’t get it, and when you consider the phone’s curvy, almost fluid-like glass back, I think it’s a tragedy that HTC didn’t go all the way and axe the U12+’s buttons entirely in favour of full on touch controls. In a world where phone makers are already trying to eliminate everything on a phone that’s not a screen or camera, that would actually be a bold step into our inevitable all-touch future. When the light hits it just right, the U12+’s transparent back looks sick. 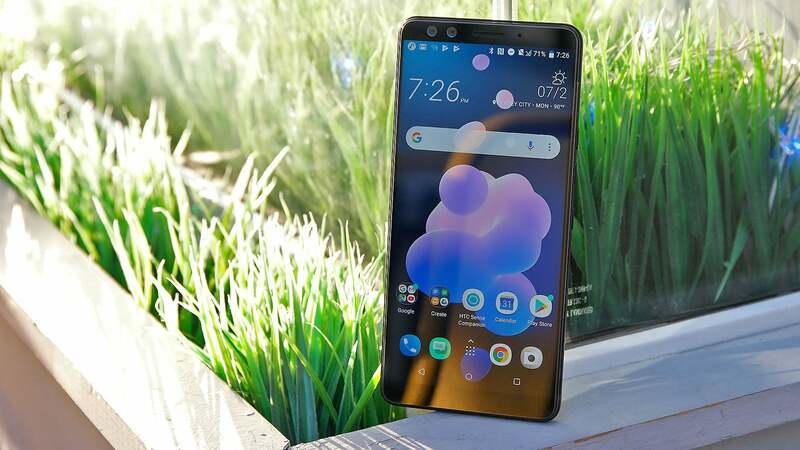 Meanwhile, on the inside, the phone’s Qualcomm Snapdragon 845 chip, 6GB of RAM, 64GB of storage and microSD card slot delivers the kind of performance you’d expect from a £700 phone. However, its battery does not. For some reason, after putting a huge 3,950 mAh battery in the U11+, which featured a screen with the same 6-inch dimensions and 2880 x 1440 resolution as the U12+, HTC curiously opted to go with a smaller 3500 mAh this time instead. That means on our rundown test, the U12+ lasted just 8 hours and 1 minute, the shortest time we’ve seen on any phone in 2018, regardless of price, and between three and four hours (or more) shorter than many of its flagship competitors including the Galaxy S9+(12:27) , the Huawei P20 Pro (11:36), or OnePlus 6 (13:03). Even major device makers like Sony have a hard time keeping pace with Google and Samsung cameras, but HTC did it. However, one of the U12+’s redeeming features is its cameras, which have been doubled to include dual 8-MP cams up the front and dual 12-MP cams in back. That means you can shoot portrait mode photos regardless of which side of the phone you’re using, which is nice, but what’s even more impressive is that once again, HTC has managed to keep pace with its mainstream competitors. In daylight, not only did the U12+ capture a challenging shot of a flower in the fading light of a sunset with more accurate white balance, it also refrained from pushing colour saturation and sharpness too far like you see in a comparison pic shot by a Galaxy S9+. And in low-light, while the U12+’s pic does look slightly grainier than the S9+’s pic, it doesn’t have any of the greenish cast on the yellow warning track at the bottom of the shot, there’s better detail on the pavers in the road, and clean, bright colours throughout. The S9+’s only other advantage is very slightly better range as seen by more details in the rafters at the top of the building. Dual cams in front and back means you’ll always be able to shoot portrait mode photos. So in the end, what we’re left with is an incredibly frustrating phone. Aside from its slick transparent glass back, it looks almost exactly the same as last year’s device, and yet, its cameras are even better. 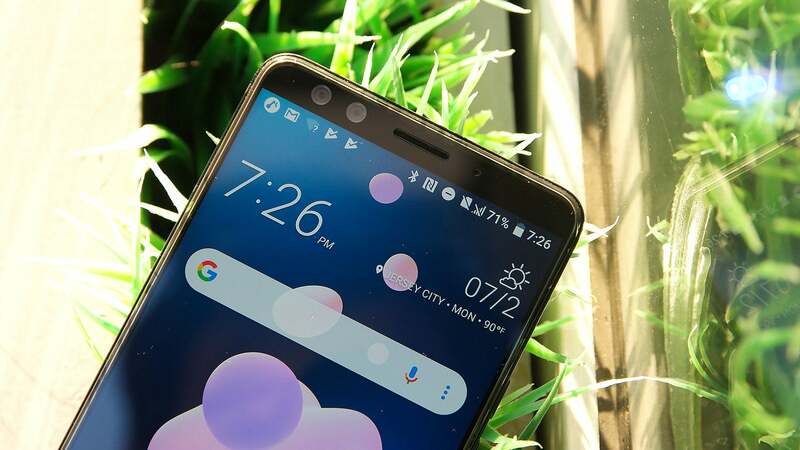 Unfortunately, the U12+ has taken a step back in battery life, and while its enhanced pressure sensors offer even more control and customisability, the performance and execution of HTC’s touch and squeeze functions just isn’t there. But what worries me even more is that with HTC in such trouble financially, it’s possible that the U12+ could be the last flagship phone HTC ever makes. And for a company that’s created a number of all-time great handsets like the HTC Dream, which was the first phone sold that ran Android, or the legendary HTC One M7, which may have been the best phone of its generation, the death of HTC is a pretty depressing thought. And despite its flaws, the U12+ shows that HTC didn’t sell all of its best ideas to Google. 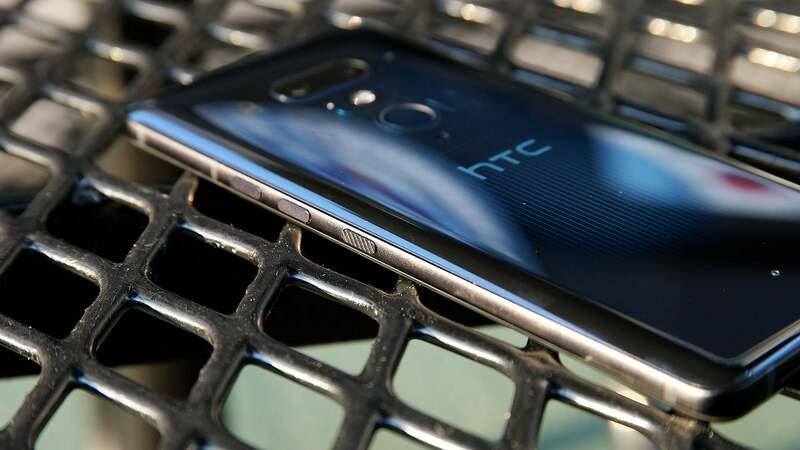 There’s still potential left in what remains of HTC, but if things don’t start improving soon, all of HTC’s greatest hits may remain strictly in the past. The “buttons” on the side of the U12+ are actually fake touch sensors that annoyingly don’t have any sort of actual tactile feedback. At just 8 hours, the U12+’s battery life is the shortest we’ve seen on any smartphone yet this year. Specs and performance are generally quite solid, though with a max brightness just short of 400 nits, the U12+’s screen could be a little brighter. The transparent glass on back is a nice look, and its camera are every bit as good as those found on more mainstream flagship competitors.